Telesto Broadcast Solutions is an independent company servicing the Broadcast and Communications market. We are very pleased to be able to recommend and supply the following companies world leading broadcast products. Tieline Technology is an established technology provider that manufactures the world’s most advanced codecs that transmit FM quality audio, communications and data over IP and other network transports. Tieline codecs are capable of sending digitally encoded audio over 3G/4G wireless networks, IP/Internet networks, standard POTS/PSTN telephone lines, ISDN, X.21, satellite (ISDN and IP) and GSM connections. 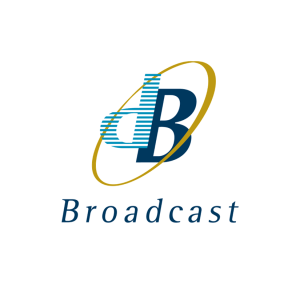 dB Broadcast is one of the UK’s largest and most successful independent systems integrators and also designs and manufactures products for the broadcast industry. Such as switching and monitoring of all types of broadcast signals such as the Hawkeye range for switching and monitoring all types of broadcast signals, MERlin DVB-T2 and DVB-T monitoring receivers, Showman multi-standard analogue TV receiver/demodulators and the Cardinal range of mains distribution units. Onetastic is a company specialising in digital broadcast transmission products and accessories such as TV Exciters, Low and High power Transmitters and Transposes. Multi-channel Television Transmitters, Timing and frequency reference generators, automatic switches for ASI and RF signals. If you have any questions or would like to discuss your requirements with a Telesto Broadcast representative regarding our products or services , please e-mail us at sales@telestobroadcast.com or call us at +65 6484 1418. At Telesto Broadcast, the customer always comes first.